Yesterday, I started putting the practical side of this blog into order. I started with ten new fruit crops that could restart a failing economy unable to retrain its young people, to innovate, or to produce food for itself, although it is in one of the three best climates in Canada. You can read about them if you click here. Today, I’d like to add another ten, before moving on to other crops and to new technologies and land use methods. This was Oregon Once. A Syilx Crop. Now we’re talking! You can read Tara’s recipe on this page here: Source. Oregon grapes also make excellent preserves, especially jellies. Their roots are a potent medicinal and their leaves are a fine, decorative floral product, especially for the Christmas season, with both red and green colour. They go through the same complex fermentations as grapes left on the vine. I think wine and vinegar makers could do wonders with that. Oregon grapes are drought tolerant and prefer the edges of woody areas, the drip lines of trees, or slopes below cliffs, where they can collect water filtering out of talus slopes, especially ones covered with a bit of silt. 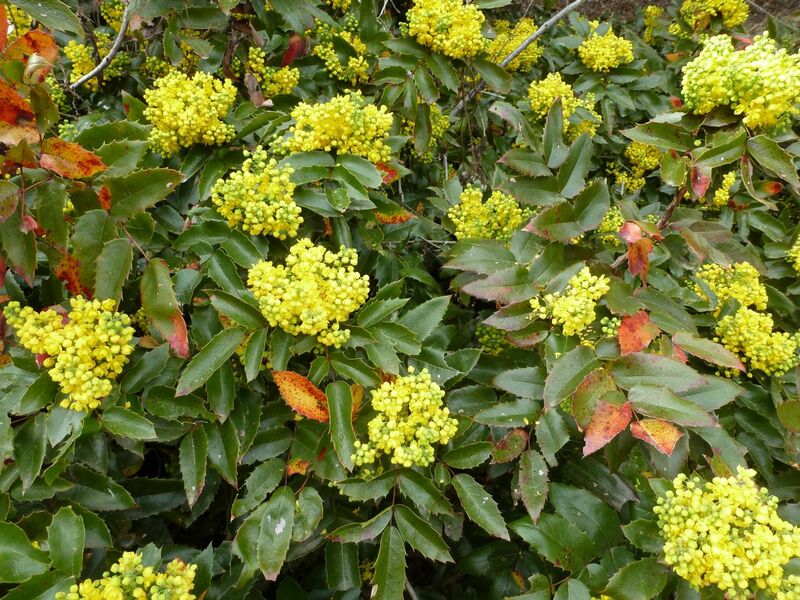 They are cold hardy, provide premium forage for honeybees and wild bees, are productive, attractive, evergreen, and come in two varieties: tall and short. Currently, they are used as landscape plants. This is one agricultural niche they can fill admirably. They can bring farming back into the city, or back into the hills, where they can farm water that to eyes trained in European agriculture looks like drought. 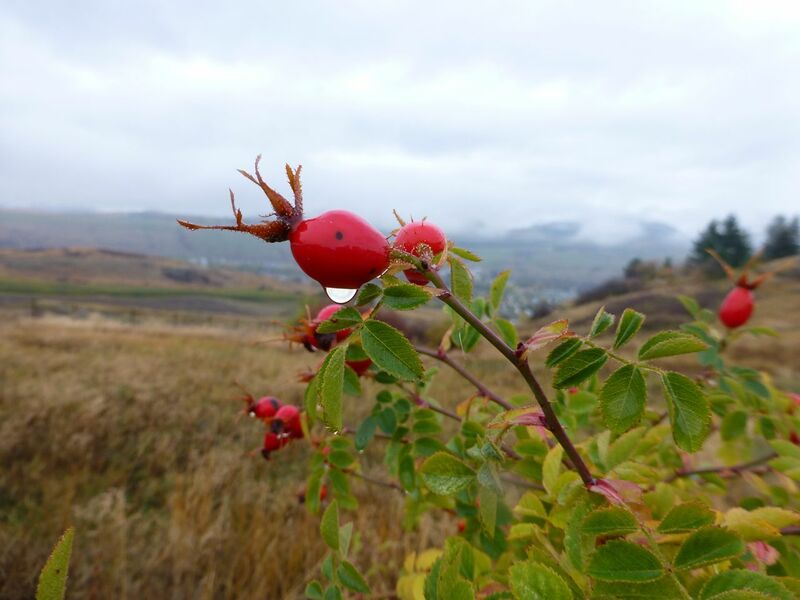 The hips of wild roses are rich in Vitamin C, and taste like incredibly over-ripe apples. Traditionally, they are dried to make a fruity, floral, tart-sweet herbal tea. They are admirable for that and have the potential to be yet another souring agent. 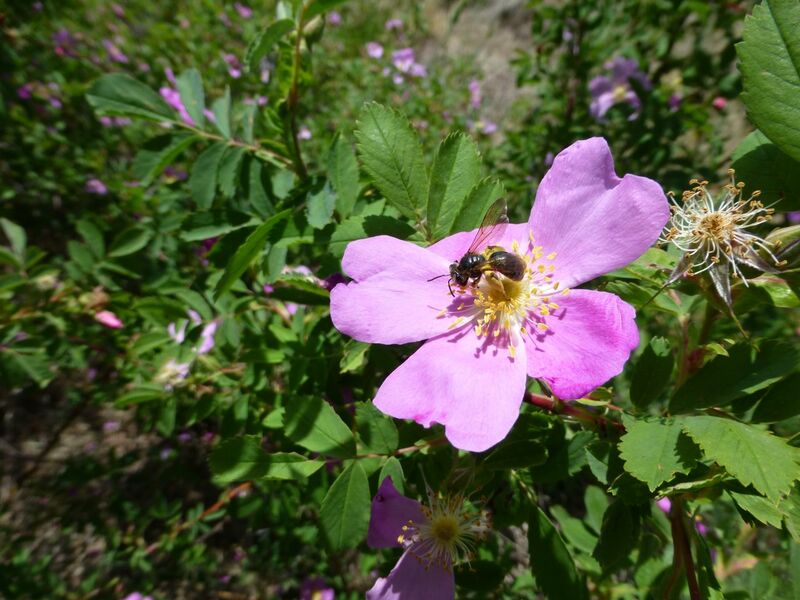 They provide excellent and popular forage for bees. As there are a number of varieties, and many different altitudes and climactic zones as the valley climbs up into the mountains, the season can be extend for many weeks. 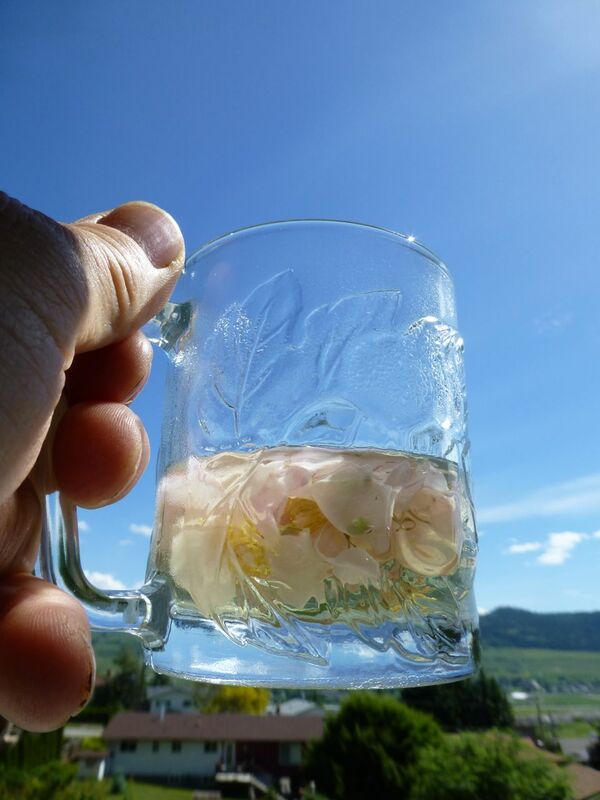 The Hills Guest Ranch & Spa in 108 Mile, up north in the Cariboo, have been harvesting them wild for years (in large volumes) and distilling them down to essential oils, with are used as a high-end, high-priced medicinal tincture. 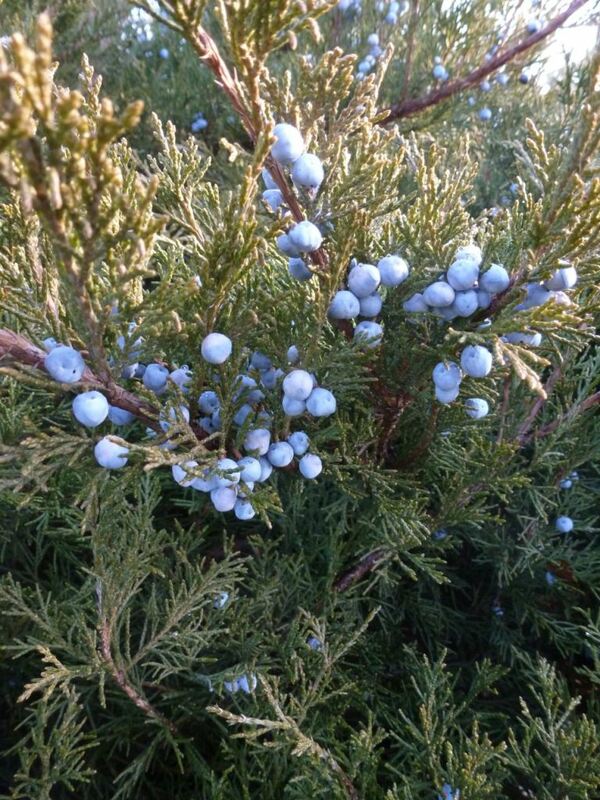 It puts a lot of pressure on the birds, however, which use these berries for late winter forage. Better to add to the environment rather than taking them away. Better to plant them out. They grow on waste fields, in roadside ditches, at the bottoms of slopes, on the sides of arroyos and gullies — anywhere where a small amount of underground water can find them. 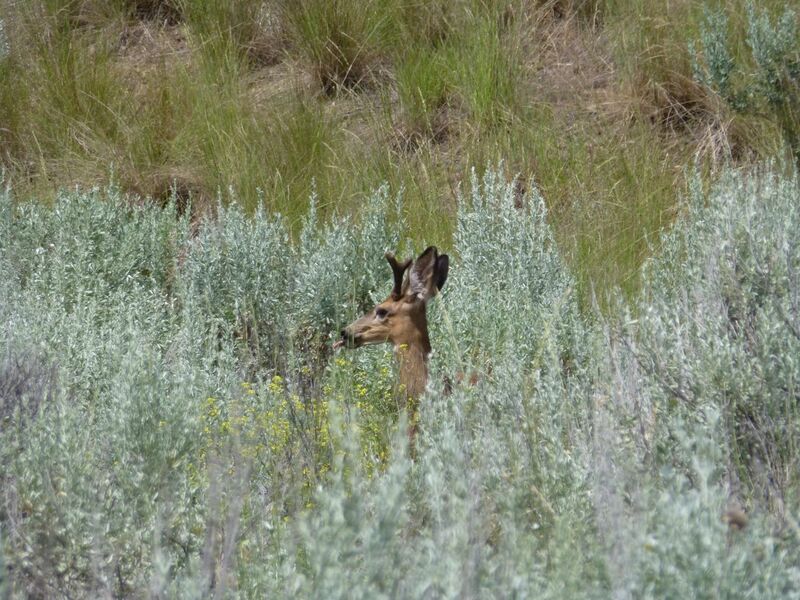 They provide cover for birds and valuable protection for herbs needing a thorny fence between them and deer. You see how that’s done? Straddle the opening stamens, and turn around in a circle to brush all the pollen off onto your leg brushes, then over to the next blossom, to spin around in a circle again. Whee! All those bees, wasps, beetles, ants, and pollen-collecting flies can’t be wrong: this is one sweet pollen and nectar plant. Blossoms, however, can also be collected, for floral decoration, for rose petal water (for Middle-Eastern baking and cooking and for perfumes and soaps) as well as for tea. Tea? Oh my, yes. It tastes like honey in its pure form, before it has been digested by a bee: spicy, sweet, and aromatic, with flavours both gentler and richer than rosewater. These cool climate, northern European plants do well in the Okanagan if given ample water. They do even better in the cooler areas around the edges of the valley and up into the hills — areas originally ignored, because the idea was to grow peaches, which need a lot of heat. Currants don’t. 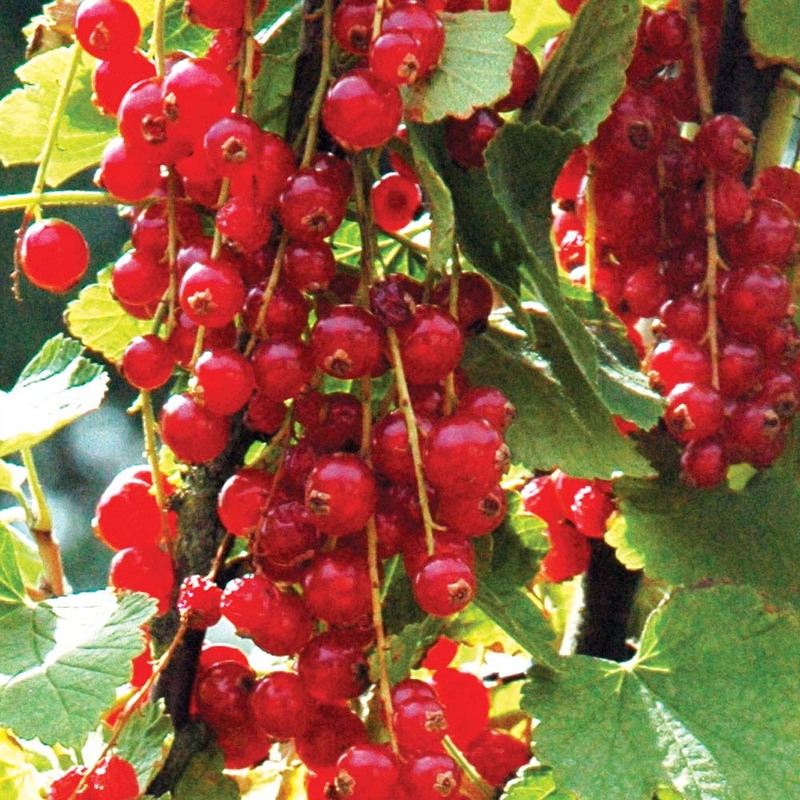 Red currants make exquisite jams and jellies and are a staple of Danish cooking. They provide fruit flavours for pickled cabbage, bright notes for cream desserts, and the base of light marinades and meat sauces. Black currants are smoky in flavour, make exquisite jams and form the base of rich, full meat marinades and sauces. 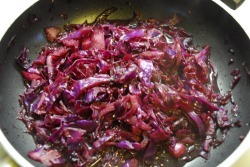 They have the potential to replace balsamic vinegars. In Britain, they are reduced to a syrup, which is then reconstituted in beverages of many kinds, including cassis sodas. They form the bases for cassis liqueurs. One of the most popular uses for them in Scandinavia is as a juice mixed with apple juice, in the proportions of 10% black currant juice and 90% apple juice. 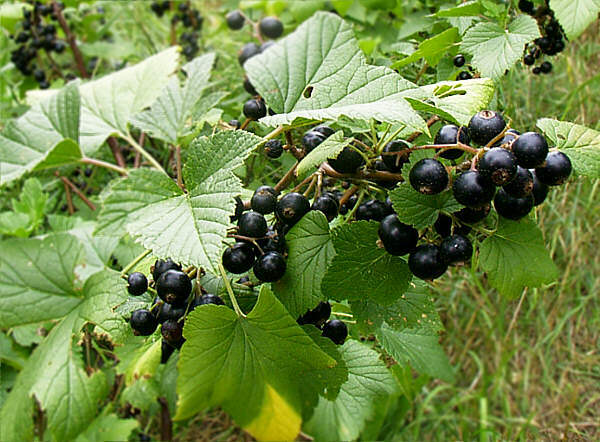 When the Okanagan Juice company Sun Rype tried this about 20 years back, they hit upon the insane idea of substituting artificial black currant juice and lots of sugar for the real thing, and then still had enough ego left over to announce that North Americans did not like the taste of black currants. Yeah, sure. The plants require little pruning and are regularly grown for mechanical harvesting throughout Denmark. They are also a great source of nectar for bees. 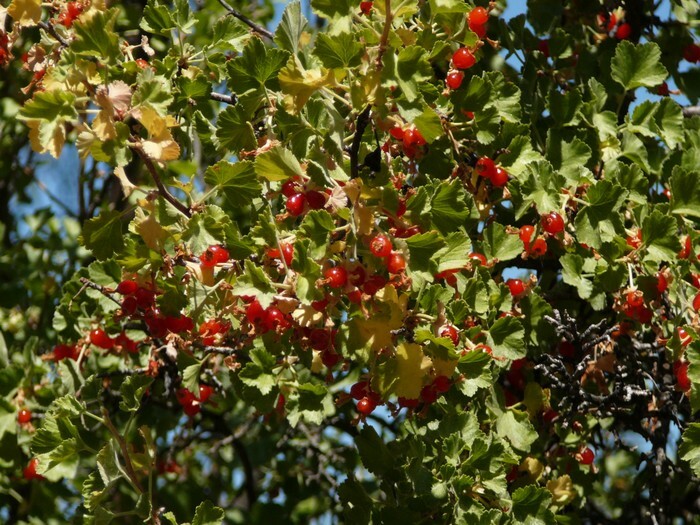 These native Okanagan currants (red) and native North American currants (black) deal with drought and heat and produce in conditions that would send a European currant shrivelling and back on the boat to Sonderborg to drown its sorrows in Akavit. Other than that, they have flavours that are more intense (more floral, spicy and sharp for the red, Okanagan currants, and smokier for the black ones). They are easy to reproduce. 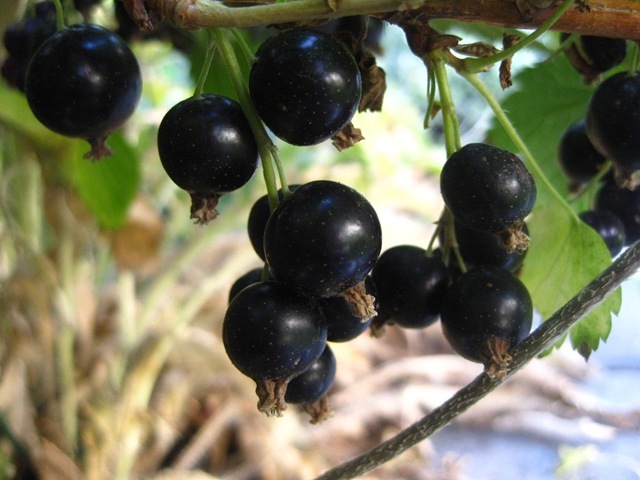 The black currants are currently sold as landscape plants. Early adopters of these plants could make a good living just selling plants to the nursery trade. Where the European currants can harvest the cooler upland climates, these can harvest hotter hillsides. The smoky flavours of the black currants should make steakhouse chefs sit up and take notice. Look, if we’re going to landscape with these suckers, with either these imported varieties or the native varieties that carpet exposed hillside slopes, we might as well harvest the berries and make gin. 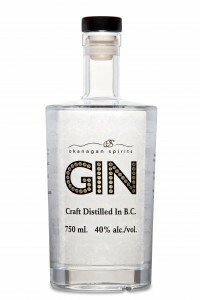 Fortunately, one Vernon company, Okanagan Spirits, is doing just that, with a fine martini gin. The path is open to explore a wide variety of local juniper species and to create a more extensive, more varied gin industry, and perhaps even a gin strong enough to stand up to a tonic. The combination of juniper flavours with flavours from other wild berries and plants also needs to be explored, to create other gins with distinct local profiles. Dried juniper berries are excellent for wild meat flavours, including wild boar and bison. Most of them have a sharp, petroleum taste, but some are sweet as can be. This is one of those crops used extensively as a decorative ground cover, that has the potential, after further development and exploration, to bring farming into urban gardening. Furthermore, given the wide variety of colours and growth patterns in this species, the potential for a floral industry is extremely strong. Junipers are extremely drought and cold hardy, withstand untold abuse, adapt to a wide variety of soils, are long-lived, require no pesticides or pruning, and are simple to reproduce. Oh, and they smell soooo good. 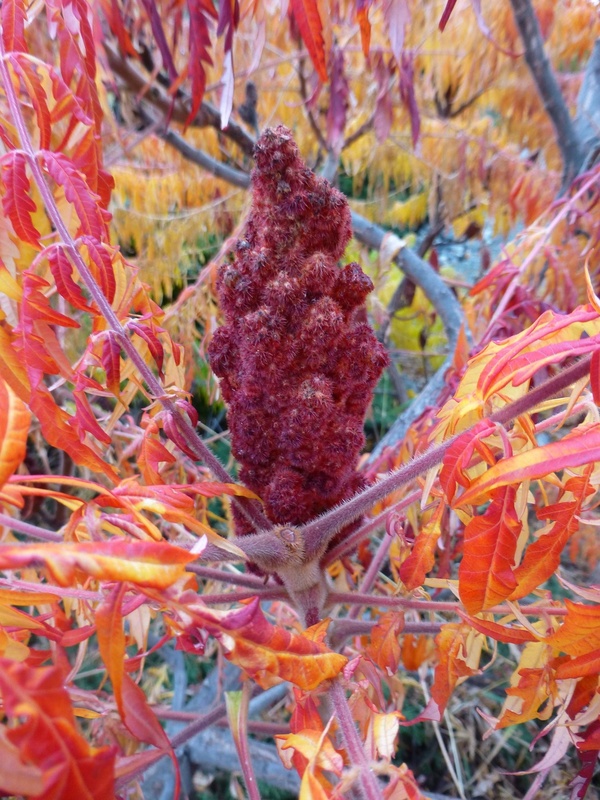 The Syilx harvested the indigenous Smooth Sumac, which is a smaller version of this giant from the east, Staghorn Sumac (which was also an indigenous crop). Tanner’s Sumac is an ancient Aramaic, Arabic, Indian, Egyptian and Mediterranean spice, still essential for cooking in the Middle East. It has left India with tandoori cooking, where it has recently been replaced by manchoor, Egypt with Duqqa, and the Fertile Crescent and Greece with an entire culinary tradition — one of the oldest, if not the oldest, of them all. 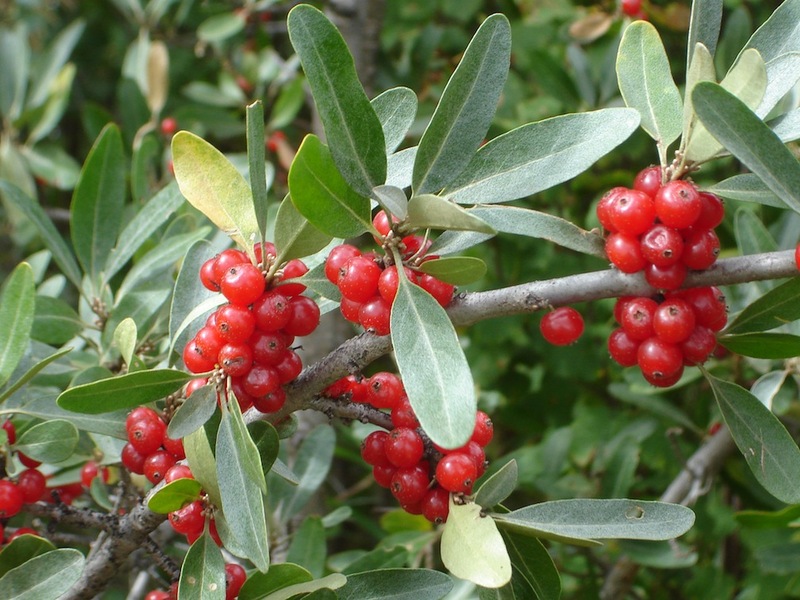 It is made from the dried berries of a European cousin of the North American sumacs. The drupe fruits of our sumacs are too stony for this procedure, and bear a slight risk of allergic reactions among people allergic to cashews (their loving sisters, along with the mangos), but they have long been used by Indigenous North American peoples to create a cooling summer drink, that far surpasses lemonade or iced tea, and which can reproduced into a syrup that can take the place of Mediterranean sumac. The wood of the tree can be reduced to a high temperature, smokeless wax, for candles, and lights up in a black light, which ought to have some interesting applications. Every part of the tree is highly medicinal, with that cashew-allergy caveat, and the leaves are essential to the leather tanning industry. In fact, in the American east, whole groves of sumac are grown for their use as tanning agents. This is a plant that withstands incredible drought, grows anywhere, is highly decorative, and currently lines the short term parking lot of the Kelowna International Airport — for example. Some mature trees in Kelowna are 20 feet tall and dwarf the houses they once stood before. This is a plant with a great future. What we need is a tiny bit of research from a university willing to do so, and we are off. What’s more, this is the real autumn colour of New England. Plant enough of these things, and local tourism operators should be able to appreciably increase the value of fall wine tours, and even provide fall colour tours, for the many partners of wine enthusiasts who just don’t like to play the taste-the-papaya-on-your-tongue-in-the-wineshop game. Aboriginal communities with a traditional product, but has the potential to supply the chemical and cosmetic industries with an organic foaming agent. In that direction, the potential is almost limitless. They also make an attractive landscape plant, especially for xeriscape situations. And, yes, the bees love them. 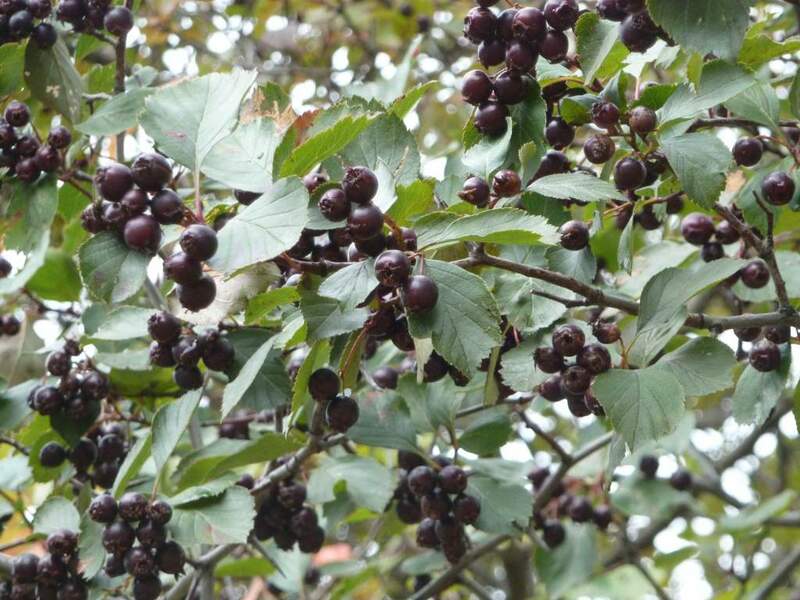 Black Hawthorn (Falkland Clone). A Syilx Crop. 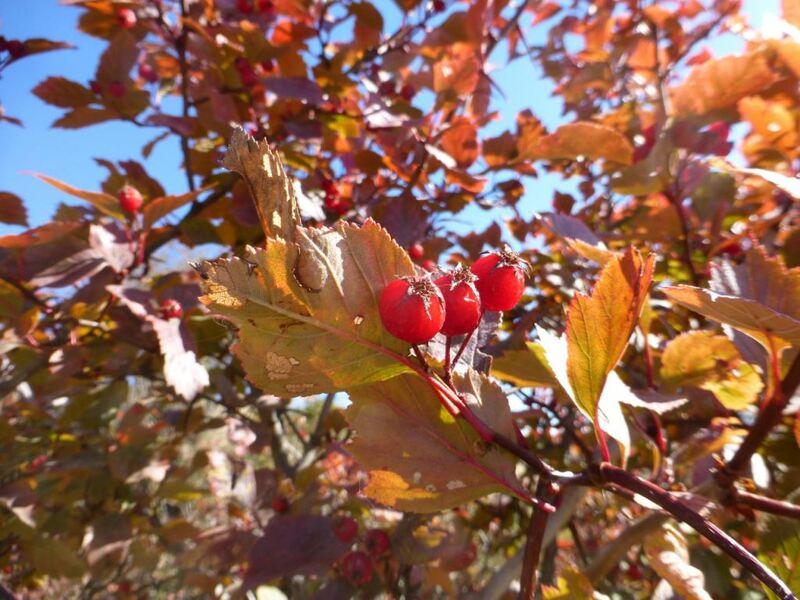 Black Hawthorn (Vernon Clone). A Syilx Crop. What beauties, eh! Here is another fruit crop that take fruit farming out of the valley floor into the side valleys, and onto grassy slopes, lake shores, road margins, hedgerows and boundaries of all kinds. They harvest water moving by gravity down gentle alluvial slopes, are favoured nesting sites for magpies, provide early spring forage for bees, and fruits and bark of high medicinal value (anti-cancer drugs). There are indications that the fruit has fresh fruit or processing value as well — again, just a small amount of research is necessary and we will have a crop resistant to deer, needed no pruning, easy to train and hedge, free of pesticides, with incredibly low water needs or none at all, and able to grow in a huge number of currently wasted or under-utilized environments. What’s more, she’s pretty as all heck. This is another one with potential. These North American native berries are traditionally grown on Vancouver Island, in Oregon, on the Olympic Peninsula, in the Fraser Valley, in Maine and in Montana. Montana? Yes. That’s inspiring. The Okanagan Valley bottom does not have the moisture or the acidic soil to grow these berries unless a cheap, easy, organic acidifier can be found and the water issues can be cured with shade, perhaps from mulberries. The high country, though, where the water for the valley floor farms is sourced, that is perfect. 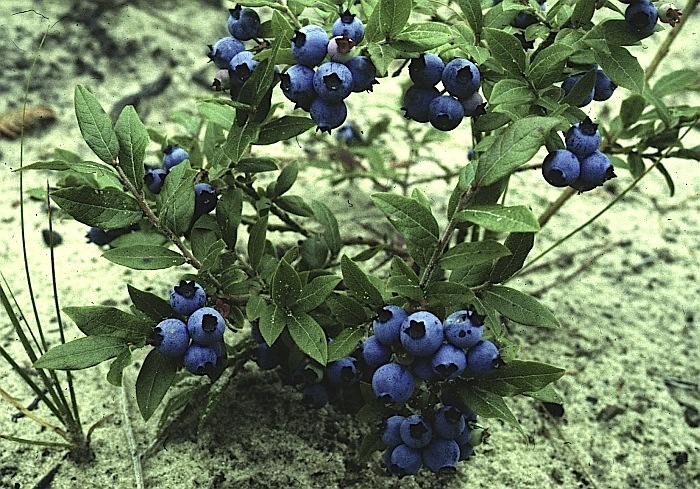 The local blueberry is a low-bush variety, with low yields of small, intensely flavoured fruits, hovering just above the 3000 foot level. It should be possible to find enough land to grow enough of these high up there, in that blueberry zone in the pine shade, to keep an appreciable amount of water in the upland system to return some balance to the natural water flow down through the hills. At $3 a pint for decent berries, and $2 a pint for the ones 2 days short of rot, sold here to empty cold storages in the Fraser Valley, it’s worth a go. Besides, the darned things make excellent bison sausages, fantastic preserves, wondrous baking, and a deep wine that puts the low end $15 Okanagan reds into the spittoon. I’m all for wine that regular people can afford. This is one worth exploring. Look up to the hills. There, where the clouds run. Right now, we ski and snowmobile and snowshoe and cut down trees up there. We could do a lot more. That’s twenty fruits, and twenty new ways of not only creating new economies and new cultures, with room for our young to grow and invent and prosper and dream, but also to enrich the environment at the same time. Inspiring, eh. There are many further opportunities within fruit crops currently grown here. I’ll be getting back to that. Next, however, I’ll look at vegetables. Until then, you noticed my new mascot, the guy with the tongue, right? brilliant – ecologically wise food sovereignity is really basic to a capacity for any meaningful experience of community “freedom” that is compassionate and caring for all of it’s members – This imagination is connected with some of the ideas of Wendell Berry and Wes Jackson in their proposals to reinhabit the rural landscapes with community based sustainable agricultural – we are in many ways such beginners – it is good to see such practical imagination! It’s also exciting to pull these threads out of the avalanche of Okanagan Okanogan posts, too, I must say! Thanks for reading these earth sculptures so carefully. Your support means a lot. I sure wish I lived as close to the Columbia as you do. I’m going off to the Palouse this summer, to see the falls and hike around. Have your travels taken you there? Any tips? Thanks. Have you taken a boat up the Hanford Reach? Magnificent, IF you ignore the inane chatter of the guide. Otherwise surreal. Here’s my thought on the river this morning: 250 feet of water above Daisy � that would be enough to push the atmospheric pressure down couple notches, decrease the dryness and the heat, and totally change the climate from a deep hot grassland to what is, in grassland terms, a cooler, high-altitude one, or, in other words, to push it from big sage and cactus up to grass and savannahs. Huge difference. The dams, in other words, have cooled the climate. Or, to put it another way, what was flooded was heat. Heat was in the way. Where there was heat, there is now water. I’ll have to look up Smoholla. Have you seen the pictographs rescued from the inundation, at Vantage? I could send you pics, if you haven’t. 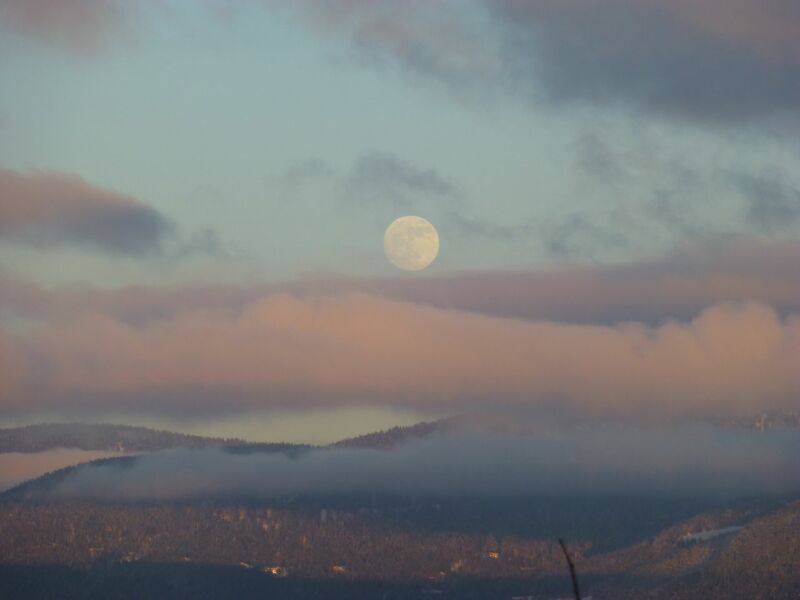 With a special extra like for “The Lip of the Plateau Above Vernon.” It looks like a painting. Lovely. And all those gorgeous fruits! it is a painting, I think. 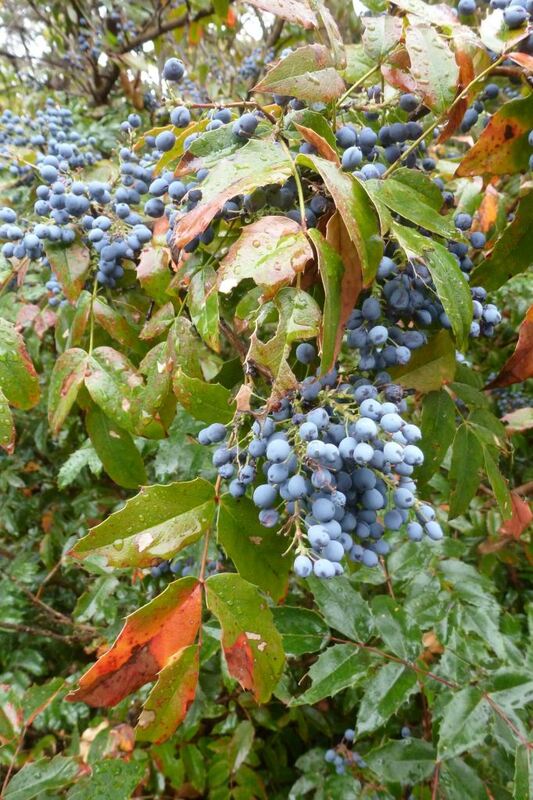 excellent suggestions, oregon grape is a very drought resistant plant with wonderful food, fragrant blooms and a great early food source for wild bees, there were none on my apricot this year as the blooming time overlapped! 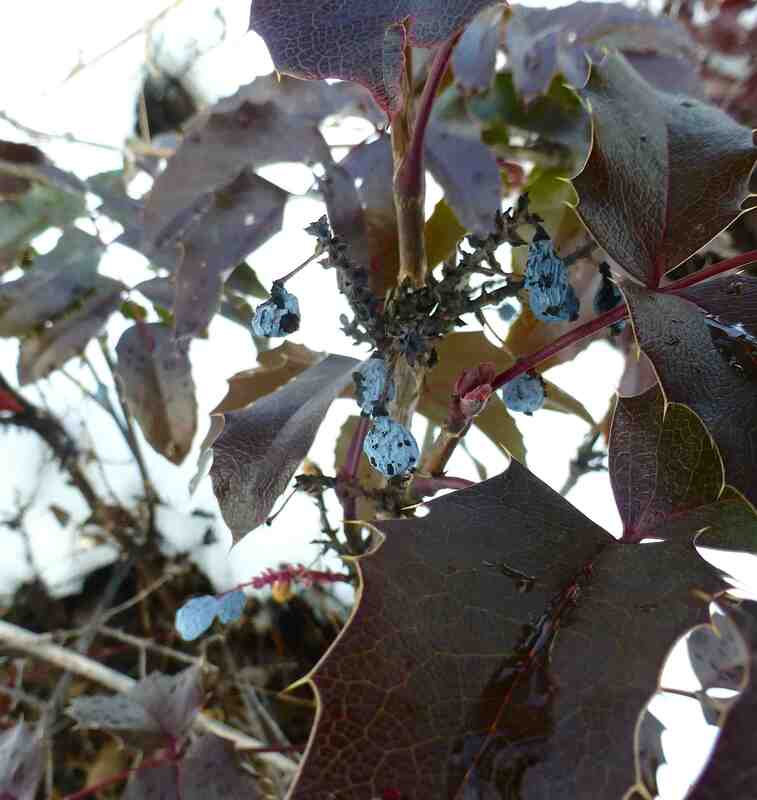 The roots are said to make a good yellow dye and the plant actually thrives on being didvided, there was a research project on it in Missoula that concluded that there ewas good potential in oregon grape for juice, dye and medicinal purposes!